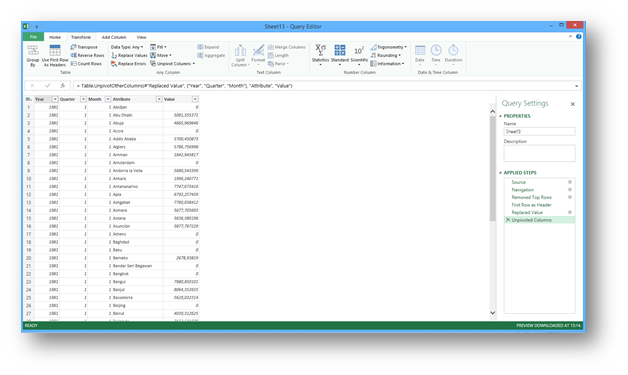 One might think that analyzing data with a Pivot table is hard, but Unpivot a Pivot table proves to be even harder. 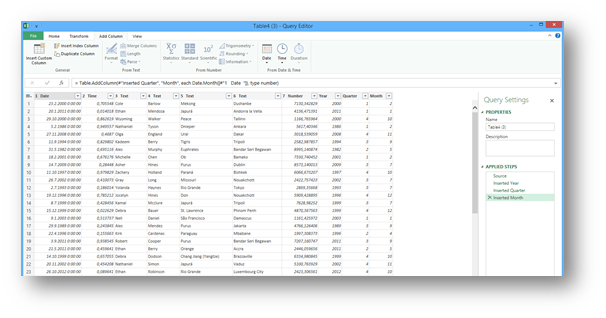 But Power Query or better yet a Query editor proves once more that it is a brilliant tool that can handle Unpivot with ease. 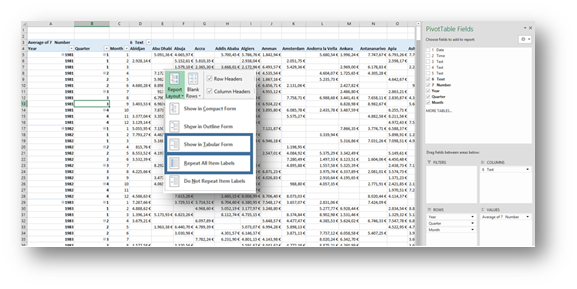 Or in other words transforming a Pivot table back into a tabular and simply analyzable form. 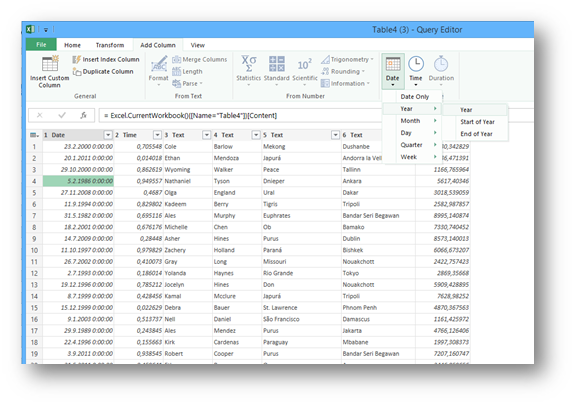 And It’s worth mentioning, it’s not limited to Pivot Tables, it can perform the same task on any two-dimensional data you have. Now that we understand the problem, let’s get to it. 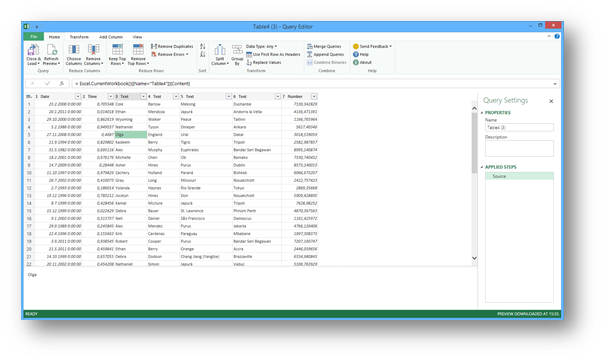 As the title suggests, a Power Query Add-In is required. 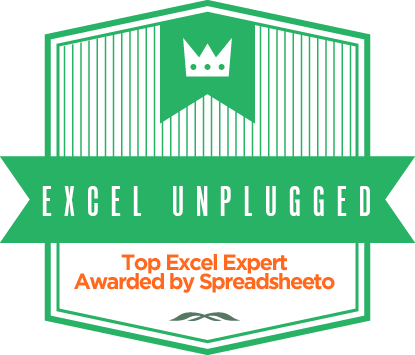 Now personally, Power Query went from an Excel Add-In to a SWISS ARMY KNIFE excel tool and a MUST HAVE for every data cruncher out there. It’s free and you can get it here. Now to begin the process, let’s start with the data table that looks like this. If this is the first time you’re using this tool it’s an absolute pleasure for me to present to you a window that will become your best friend in no time. Given the proper chance of course 🙂 . It’s called Query Editor. 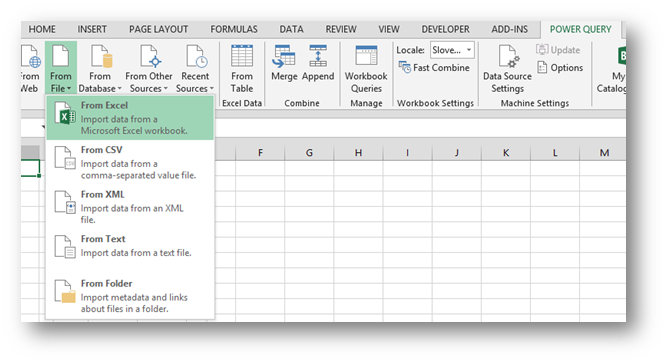 And what this refresh does, it looks into the original Table and grabs any new data that may be there and then repeats the steps taken by the query, which were listed in the Applied steps list of the Query Editor. 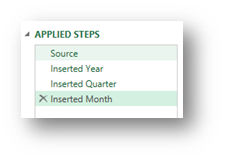 You can Edit this Query at any time and add or remove steps. 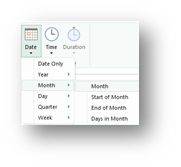 The key with this pivot table is to have only one field in the Columns section and if there are more fields in the Rows section (in our case Year, QTR and Month), you should format the Pivot Table to a Tabular form and have the Item Labels repeated. The end result should resemble this. 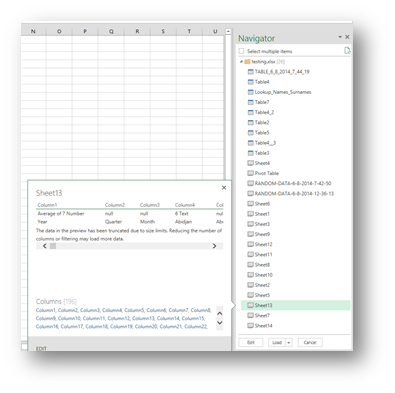 You then select a file and the Navigator lets you select the Sheet or Table you want to import. It even gives you a preview of the data. Once the right Sheet is selected, you either select Load or the almighty Edit. If you want to Unpivot it has to be Edit, to get to the Query Editor. 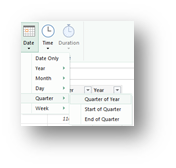 This will help us resolve all issues that would occur at a normal Pivot Table import. The column headings are generic (Column1,Column2,…). First row of data is obsolete. The second row of data should be the header row. Multiple “null” values where zeroes should be. Now we will tackle these problems one by one. 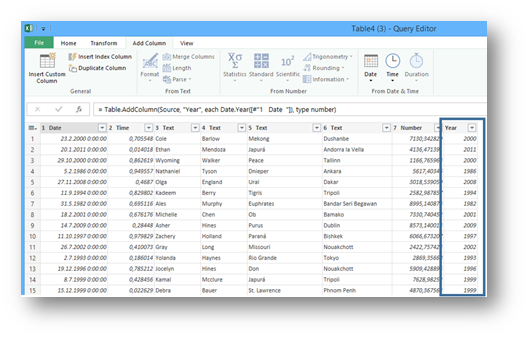 All the Pivot Table data in five columns 🙂 . The steps listed on the right can be individually edited or deleted. 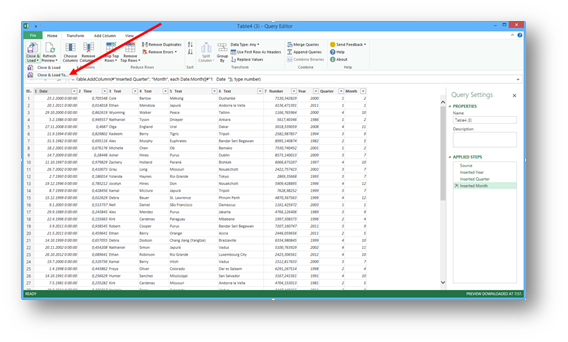 But after you select Home/Close&Load, you get a Table in Excel where you just right click and select Refresh and Excel or better yet Power Query will repeat all the steps for you and give you the latest data. I am confident, you can find many uses for this and I hope that it saves you as much time as it does for me. Thanks for that post that seems really interesting. However, it is really difficult to read pictures (to smalls), even Zooming In. Do you have another format for your post. glad you liked it. You can get the PDF version here, it should be easier to read if the screenshots are not clear on the page. Great post! Thanks for sharing. Love the screen shot examples and easy to follow illustrations. Brilliant post and super useful information! Thanks for your hard work on this. thanks for introducing PowerQuery – will be fun to explore this tool, and definitely useful for myself and for some of my customers. Glad you introduced me into ist Advantages by this deliberate post! You’re welcome. 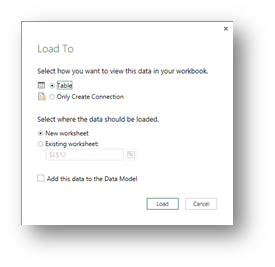 I think the whole PowerBI solution from Microsoft is a great step up for each and every Excel user that deals with importing data and visualization of that data. I’m glad you recognized it for the brilliant tool which it is and hope it helps you on your quest for eternal happiness. Hi, thanks for the post. Any chance I can do it with 2 values for the same atribute? 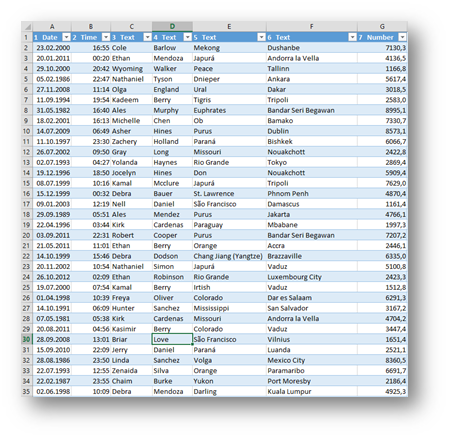 Hello – how do you account for new columns of data being added when using the 1.Change “Null” into 0 step?. I’ve found that replace values does not pick up new columns when added to the table, thus the unpivot removes rows with null values. How can I make the replace values dynamic as new columns are added. 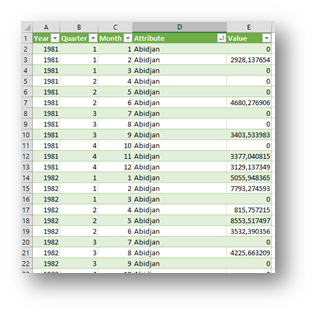 2) Keep the nulls through the unpivot process and then replace them when the values are in a single column. I’ve not been able to fine a way to do either. Your solution worked perfectly!!!! Thank you very much.